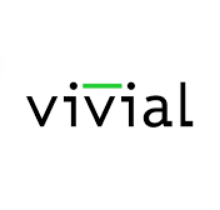 As a current or potential reseller of Vivial martech solutions, your success is important to us. That’s why we’ll be doing a series of short, focused posts each geared towards achieving success as a reseller of digital martech solutions to your customers. Each part of the series will focus on a key element to successfully integrate these solutions into your product mix. Up first—we’ll focus on the approach. Understanding the value you’re bringing to your customers will surely set you, and your agents, up for success. What’s the key to generating big sales numbers this year? Provide value to your local business customers. How do you do that? You find out what it is they need and want—and then give it to them. You don’t need a crystal ball to figure out what it is your customers need. According to a 2017 report from Linchpin, 71% of small business owners do their own digital marketing. Now, that might sound like a dead end for your sales efforts if you’re trying to resell digital marketing solutions—but here’s why it’s not. You see, even though a staggering percentage of small business owners are doing their own digital marketing, that doesn’t mean it’s effective for them. In fact, according to an InfusionSoft survey, 46% of small business owners don’t know if their digital marketing efforts are effective. Right there is a prime opportunity for you to offer a valuable solution. Without the ability and knowledge to determine how effective their marketing solutions are, small business owners run the very real risk of wasting their time and money—two things no small business owner can afford to waste. Bringing your customers the tools they need to implement cost-effective digital marketing strategies that deliver real results is a win-win for everyone. These tools allow your customers to save time by outsourcing their digital marketing, save money by ensuring that every dollar spent will generate real results, and provide a level of reporting that most customers have never experienced. And did we mention the benefit you’ll experience? Recurring revenue accompanied by a seamless sales process. So, it’s no great secret. Your customers are looking for solutions that save time, save money and deliver results. As you approach them to resell digital marketing solutions—focus on the savings. Focus on the ROI. Just because many are currently handling their marketing efforts on their own, doesn’t mean they want to. Offer them the opportunity to focus on doing what they do best—running their business, while they leave the marketing of it to the experts. Show your customers you understand the pains and challenges of being a small business owner. Show them how you can make their life easier and their business better. You do that—and not only will you serve your customers well, but you’ll generate big bucks for yourself.